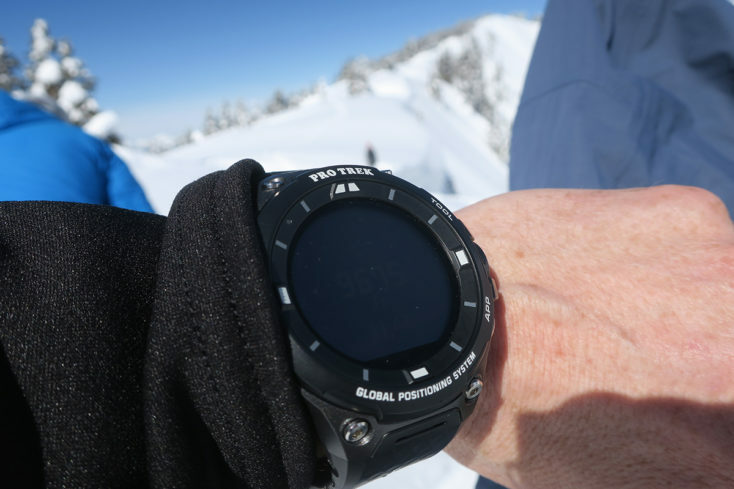 The new for 2019 Casio Pro Trek Smart Watch is sure one versatile adventure toy. The 1.2-inch dual layer display Smart Outdoor Watch is powered by Google’s Wear OS operating system. It comes loaded with several exclusive, developed just for Casio apps including ViewRanger- a trail map sharing app and MyRadar- indispensable weather information. You can also download multiple apps onto the Casio Pro Trek including Strava, Ski Tracks, TrailNav. Google maps are available for online map use and MapBox for offline.touch screen watch is powered by Google’s Wear OS operating system. It comes loaded with several exclusive, developed just for Casio apps including ViewRanger- a trail map sharing app and MyRadar- indispensable weather information. The watch is built to military specifications for durability and is water resistant to 50m. 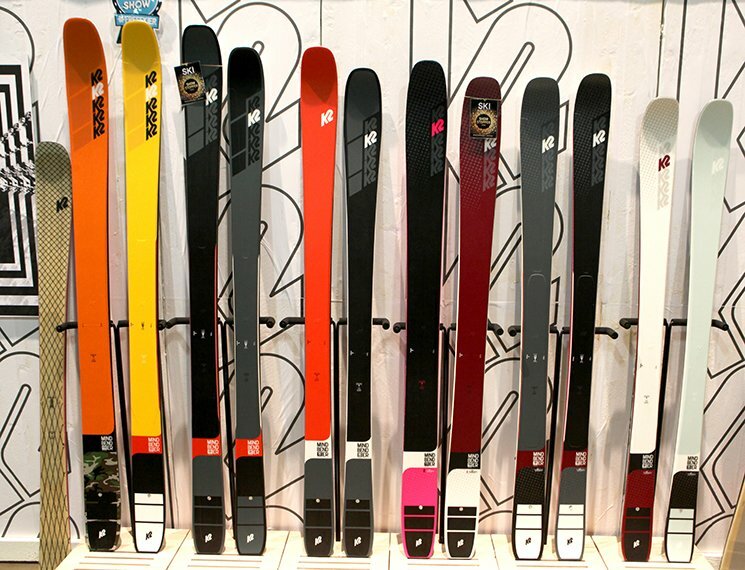 Its sensor features supply a barometer, altimeter, and compass. So far the altimeter has been the tool I use the most, for knowing my height while traveling across the mountains. The compass rocks as well and is fun o watch in real time as you swing the watch in different directions. It also comes with full GPS capabilities. For something with a little fewer bells and whistles, Casio has a more basic watch with built-in altimeter that we reviewed in the past. The Casio Pro Trek Tripple Sensor Watch. Do you like to geek out on the stats of an adventure? Or in training for some serious race? 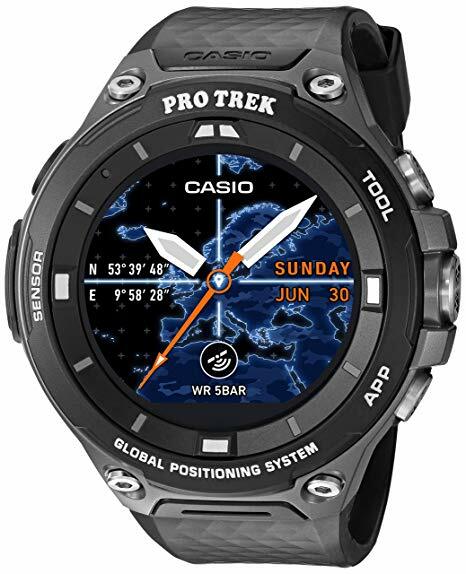 The sensors on the Casio Pro Trek WSD- F30 Smart Watch gives you so much information and the connectivity allows you to easily keep a record of routes, tracks, and other milestones. Which can easily be transferred via Bluetooth and the ability to connect to wifi. The weather forecasting features will be very useful for the backcountry traveler- especially if you are thinking of being out for a couple of days. This watch allows someone at the beach, surfers, and boaters to see current tide conditions. This is especially nice, when landlocked and daydreaming about a beach vacation. Or more practically used while at the beach or in the ocean. What can be improved? The Lithium-ion battery life is short, especially in really cold temps. If you plan to be out for day’s you’ll need a charger. Do keep in mind the size of the display on smartwatches will continue to render these less than the ideal navigation tool. A traditional map and compass are still as reliable as when they first came out, so consider carrying something other than digital for your GPS needs. When paired with a good ole fashioned topo map- the Casio Pro Trek Watch ($500) will increase a backcountry traveler’s accuracy and safety. And learning how to access all the features and functionality will keep you entertained for hours! This watch will do best with tech-savvy lovers of the outdoors and adventures.